These are the best portable bottle warmers on the market. 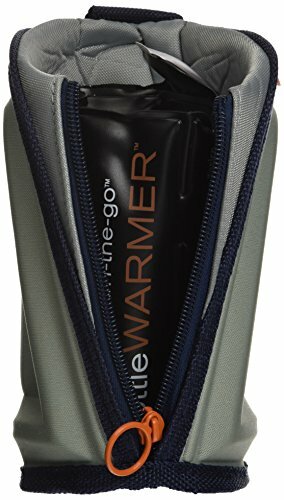 Why Buy A Travel Bottle Warmer? When you have a baby, suddenly, everything becomes a military planning exercise – what do you need to take with you, what needs to be immediately accessible, where can you stop during your journey, if you're travelling by air, how are you going to manage feeds, what if there's a 2am layover, and baby wants their bottle? 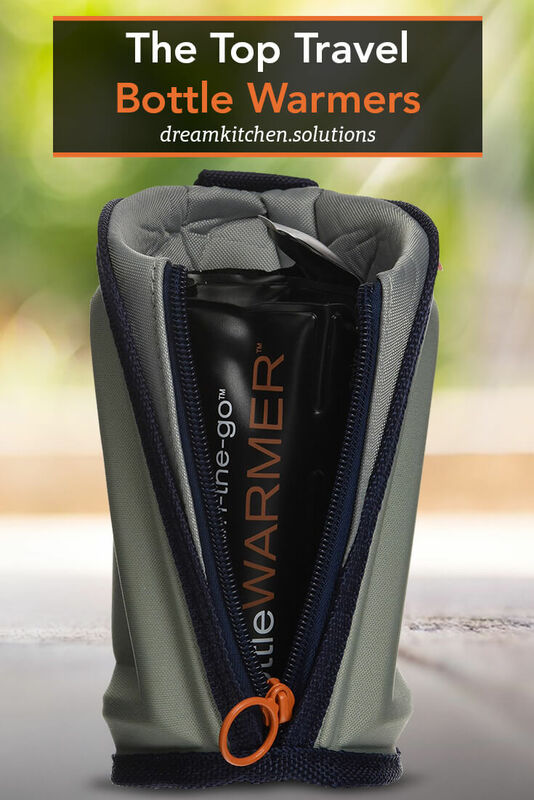 Travel bottle warmers are the answer to at least one of those questions, enabling you to warm up a bottle at times, and in places, where asking for a cup of hot water isn't an option, and carrying a flask of hot water with you isn't practical. They take at least 20mins (sometimes longer) to bring a bottle to room temperature, depending on the temperature of the bottle – fridge-chilled is going to take 30-45mins to bring to room temperature, so be prepared, and begin to warm the bottle ahead of when you anticipate baby wanting a feed. Not all travel bottle warmers are airline security approved – make sure you buy a bottle warmer you're allowed to carry in hand luggage, if you plan to use it on a long flight – and also make sure the travel bottle warmer you purchase doesn't rely on in-car charging! The Tommee Tippee Travel Bottle and Food Warmer, developed by the fastest-growing brand in the US, doesn't rely on electricity or batteries. It is airport security appropriate, meaning you can travel with it in hand luggage, and use it in-flight. It has a durable stainless steel construction. Although designed specifically for the Closer to Nature bottle range the Tommee Tippee fits almost all baby bottles, including wide-neck and glass bottles. The Tommee Tippee is, however, somewhat bulky to carry in a diaper bag. It also won't keep a bottle warm for long periods. 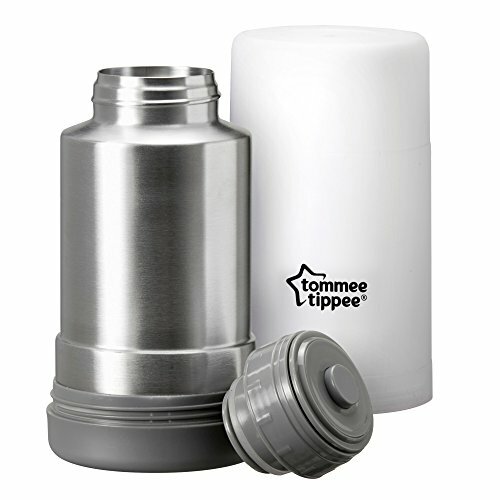 The Tommee Tippee Travel Bottle and Food Warmer is BPA free, giving you peace of mind. It can warm up both milk and baby food, making it suitable for infants across a range of ages. The Munchkin Car Travel Bottle Warmer has a digital temperature display. Its ease of use is enhanced by a digital display of the remaining warming time – ideal for anxious parents who want to know how long it will be before their baby stops screaming for their feed! As it runs off a car adaptor, the Munchkin is not suitable for use whilst travelling by plane, although it's great for road trips. 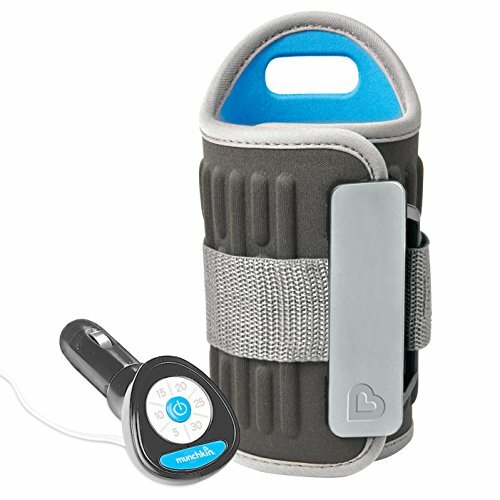 It fits most car cup holders, and is adjustable to fit a range of bottles. It is also lightweight, meaning its no bother to sling it in the diaper bag so it's always on hand. As with all travel bottle warmers, the Munchkin takes a while to heat up, so advanced planning around feeds is a good idea. The Cherub Click 'n' Go requires no electricity or batteries. However, it is not compliant with airport security standards, so is best left for road trips, or adventure days. It fits most baby bottles, including wide-neck bottles, but is not suitable for use with glass bottles. While the Cherub is advertised as recharging within 10 minutes, it does need to be boiled or microwaved in order to recharge. As has been pointed out, if you have access to boiling water or a microwave, you're unlikely to need a travel bottle warmer in the first place! There have also been issues raised over the Cherub's durability. Prince Lionheart's On The Go travel bottle warmer is airport security safe, and reusable, although it does need to be boiled to recharge. It doesn't require an external power source, so is great for flights and hikes. Take care with it though, since it's easy to trigger its heating function accidentally. 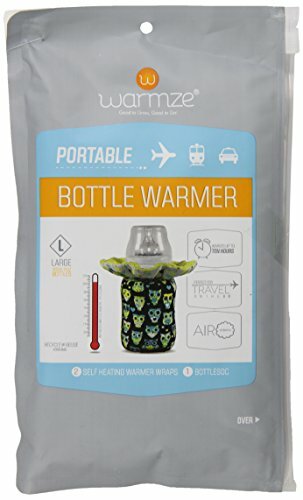 The Warmze Bottle Warmer will keep a bottle warm for several hours, and is airport security approved. There is no need for an external power source, making this bottle warmer ready to go, whatever your journey. It is also worth noting that, while the Warmze states that it will keep a bottle warm for up to 10hrs, most people's experience is that this actually plays out as around three hours. Travelling with an infant is always a mammoth undertaking, so, as a parent or caregiver, you're looking for whatever makes it easiest. Raising children is also expensive, so you want to save money, whilst maintaining quality and safety, where you can. Therefore, the important things to look for when purchasing travel bottle warmers are whether they fit your intended, or primary, travel methods and needs: do they require an additional power source, such as a car adapter? Are they airport security approved? Pay attention also to whether or not they are reusable, and, if they are, how easy they are to recharge. Buying non-reusable travel bottle warmers may be the way to go for a one-off, but if you regularly travel, or have adventure days to places where it's not always possible to find ways of warming a bottle, you're going to want to save on the expense of constantly replacing your bottle warmer by buying a reusable one. 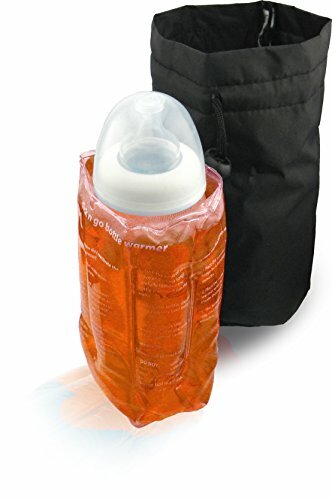 Finally, if you regularly head out with baby for several hours at a time, it is worth investing in a travel bottle warmer that fits large bottles and keeps them warm for several hours, so that you have the option of doing at least two feeds, at half a bottle a time, while you are out. Finally, remember that all travel bottle warmers take time to warm a bottle, and try and plan ahead, so you don't end up anxiously watching the minutes creep by whilst trying to soothe a hungry, crying baby.